MINNEAPOLIS – The date was June 21, 1997 at the Great Western Forum in Los Angeles. There were 14,284 fans in attendance to watch the Los Angeles Sparks host the visiting New York Liberty. Sparks center Lisa Leslie and Liberty center Kym Hampton gathered at mid-court to receive the jump ball. Leslie won the tip and tapped the ball to teammate Jamila Wideman, and less than a minute later Penny Toler hit an 11-foot jumper for the game’s first score. Of course that was not just the game’s first score, but the historic tipoff and shot to usher in the “new” WNBA. The Liberty managed to pull out a 67-57 victory, but history had been made. The first official game was in the books. There were two other games played that day – Houston Comets at Cleveland Rockers, and the Sacramento Monarchs at Utah Starzz. 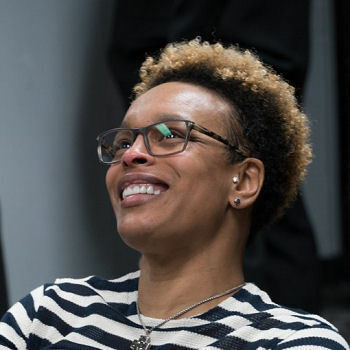 Former New York Liberty guard Teresa Weatherspoon recalls ‘The Shot’ from Game 2 of the 1999 WNBA Finals which is still considered to be the greatest play in the history of the WNBA. Photo by Brian Few Jr.
Nineteen years have passed since that inaugural day and there have been a lot of changes made since then. Of the six teams that played on the first day, only two of them – the New York Liberty and Los Angeles Sparks, are still in existence. The remaining four have either folded or relocated to new markets. On June 21, 2016, the 19th anniversary of the inaugural game and early in the WNBA’s 20th season, the WNBA announced its list of the 20 greatest players in league history to commemorate the 20th season. 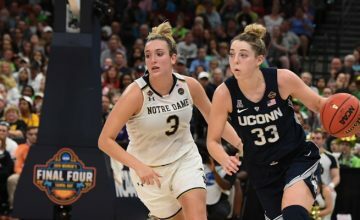 The list includes nine current players: Seimone Augustus, Sue Bird, Swin Cash, Tamika Catchings, Maya Moore, Candace Parker, Cappie Pondexter, Diana Taurasi and Lindsay Whalen. Eleven former players are also among the honorees: Cynthia Cooper, Yolanda Griffith, Becky Hammon, Lauren Jackson, Lisa Leslie, Deanna Nolan, Ticha Penicheiro, Katie Smith, Sheryl Swoopes, Tina Thompson and Teresa Weatherspoon. Catchings and Cash have since retired at the conclusion of the 2016 WNBA season. Two of the players in that list were part of the league’s first game, Lisa Leslie and Liberty guard Teresa Weatherspoon. In fact, Leslie had a decisive block on one of Weatherspoon’s shots during that first game. The group was honored on Sunday at halftime of the WNBA Finals Game 1 at Target Center where they received commemorative rings to mark the occasion, and select players were made available for interviews prior to the game. Former Houston Comets forward Cynthia Cooper answers a reporter’s question during media availability prior to Sunday’s WNBA Finals Game 1. Photo by Brian Few Jr. They still tweak each other over ‘The Shot’ but the Comets players still remind her that the Comets won the title in Game 3. 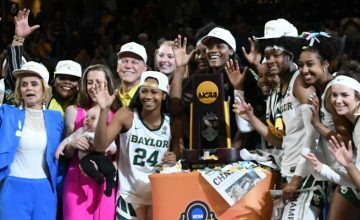 “We’re great friends and we both have a lot of respect for each other, but I get a chance to tell her that’s my opportunity to just have fun, our team had fun with that,” Weatherspoon added. Former Los Angeles Sparks center Lisa Leslie discusses how the WNBA made her a better role model for young women. Photo by Brian Few Jr. Though she was just a rookie guard for the Liberty in that game, it was one of the most memorable plays in Becky Hammon’s career. Hammon played for the Liberty from 1999 to 2006, and then played for the San Antonio Stars until her retirement after the 2014 season. She is now an assistant coach for the NBA’s San Antonio Spurs. 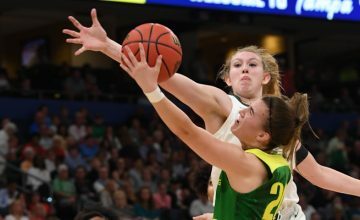 “For me to be able to play against some of the old school girls and some of the newer school girls, I feel that my time in the WNBA was really special because I really got to see both ends of the spectrum – the ones who started it and the ones who will carry it into the next 20, while being able to sit back, watch and cheer,” Hammon added. Tamika Catchings, who just finished her career with the Indiana Fever, also recalls watching the league’s development while in college. The players were unanimous in specifying how the game has changed in the past two decades. 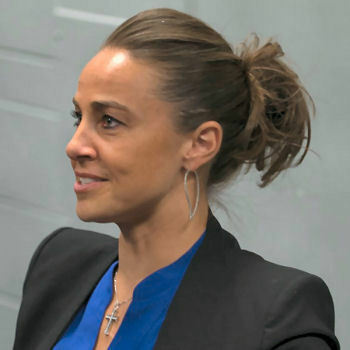 Former New York Liberty and San Antonio Stars guard Becky Hammon is humbled by being named to as one of the 20 greatest players in WNBA history. Photo by Brian Few Jr.
“I think it’s more competitive. Every team is so competitive. 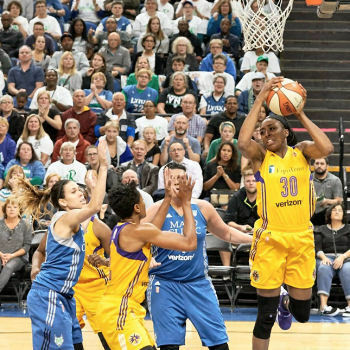 The level of play in the league has definitely gone up since the league started,” said Ticha Penicheiro, who played for the Sacramento Monarchs, Los Angeles Sparks and Chicago Sky during her 15-year career. Penicheiro is thankful that the league gave her an opportunity to stay in the United States longer and eventually get her citizenship. “When I came from Portugal in 1994 to go to Old Dominion, there was no WNBA, so I had no expectations of playing and staying in the states for so long. Now I’m an American citizen. This is my home now. This is the best and most competitive league in the world and to play here amongst the best, honestly in my wildest dreams I never thought it would be possible. I’m very honored to be considered among the great players. I’m happy for my country too because I’m here representing Portugal too,” she said. Smith, now the associate head coach for the Liberty, notes how the talent has increased since her playing days. 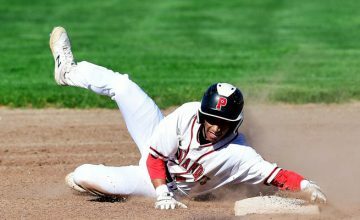 “From top-to-bottom, each team has so much talent on the rosters because there are so limited numbers of spots. That means good players now might not be able to make it into the WNBA because the talent pool is so deep. You have 6-foot-5’s shooting three-balls as well as any guard,, so I think the versatility and the size of the players has really changed,” said Smith. Leslie is also thankful that she was able to become a role model, which is one of the most satisfying aspects of her career. For some of them, like Catchings and Penicheiro, the giving continues. Penicheiro now serves as an agent trying to mold the next generation of WNBA players. Catchings took the last season to highlight her Catch the Stars charity’s Legacy Tour to meet the fans and raise funds for charity in all of the WNBA cities during her final season of play. “It was amazing. We gave out $24,000 and raised $100,000. The goal for 2017 is to go back to every WNBA city and do something in conjunction with the charities that we gave the funds to,” said Catchings. “As I look at the Legacy Tour, a lot of success of it was just being able to meet fans. When we come into the cities, we’re there for a minute and then we leave. A lot of people contact me on social media about how they would like to meet me, but there are no opportunities. I think I got a lot out of it just to be able to hear stories from people who have been supporting the WNBA from the beginning and seeing their excitement on where the game is going and the players they like to support. It was a lot of fun to hear a lot of the stories,” she said. The last 20 years have shown that the WNBA is not just about basketball. It’s about growth and development of girls into women who have learned to be good role models and who have given back to the community. Now we wait to see what the next 20 years brings. Of the original teams, phoenix is still alive and well, not just LA and NY! My apologies for not mentioning Phoenix. However, they did not play on June 21, 1997. Their first game was the next day, which is why they were overlooked in the story. I should have alluded to that fact in the story. Still, the error is mine and no disrespect was intended.